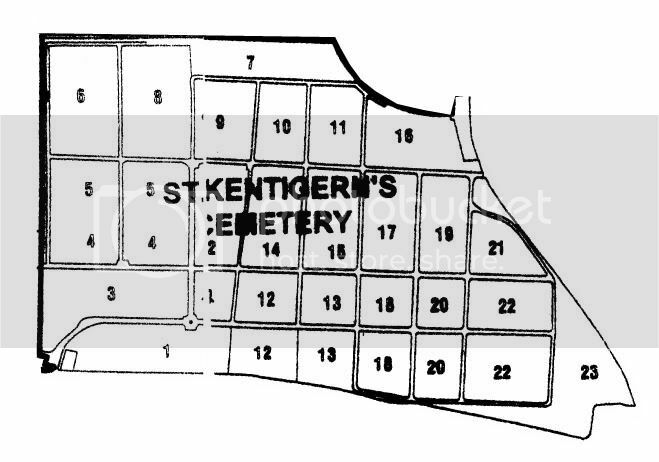 Glasgow (St Kentigern's) Roman Catholic Cemetery contains 134 scattered burials of the First World War; a small screen wall commemorates those servicemen buried in graves that are not marked by headstones. Most of the 186 Second World War burials are also scattered, but there is a small service group in the centre of the cemetery. The cemetery also contains 11 war graves of other nationalities and one non-war service burial, that of a New Zealand veteran. 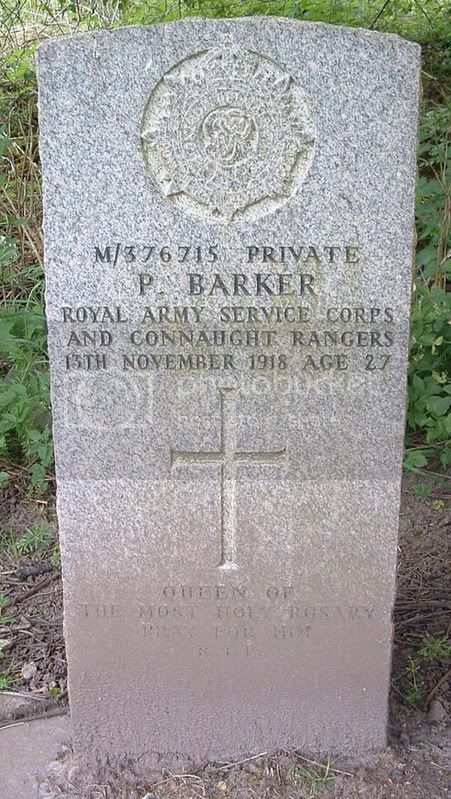 Stones found for other nationalites will be posted after the non-CWGC burials. The following photographs are of Screen Wall mentioned in the above post. 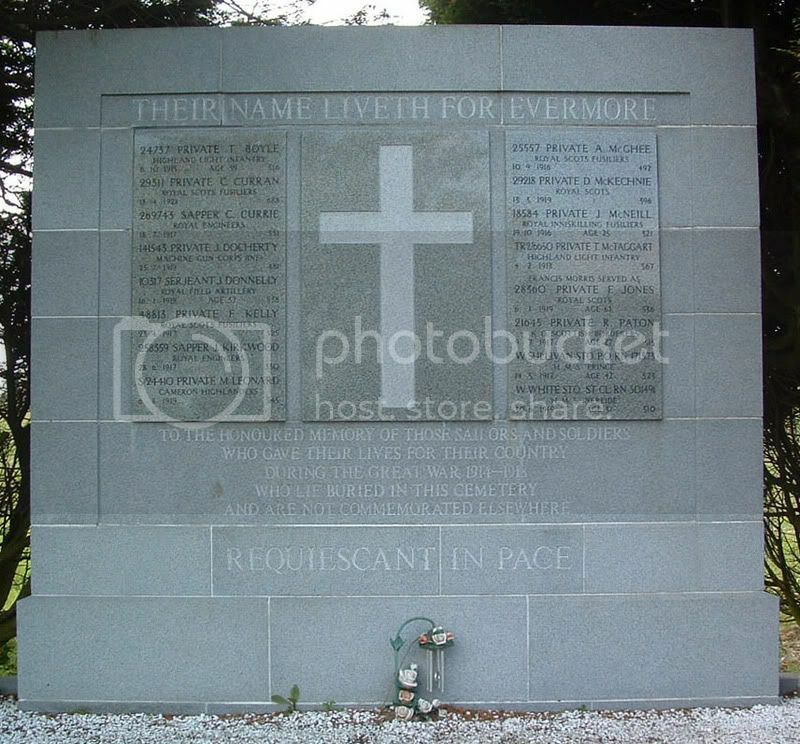 The men listed on the panels are all buried in Common Ground within the cemetery but have no individual stones. The numbers alongside each man's name are the Lair Numbers within that Section. Each man listed will be included alphbetically with a close-up cropped image of his name on the screen. 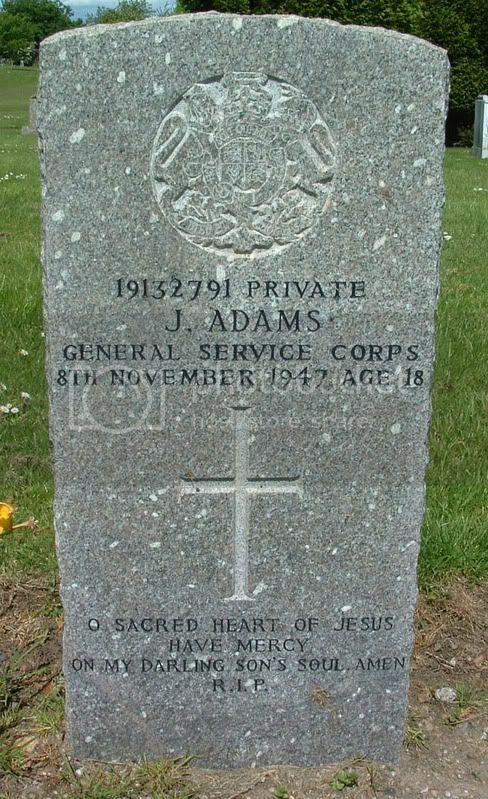 Additional information:	Son of Alexander W. Adair and Jane Adair, of Glasgow; husband of Jane Jack Adair, of Glasgow. Grave/Memorial Reference:	Sec. 12. Grave 720. 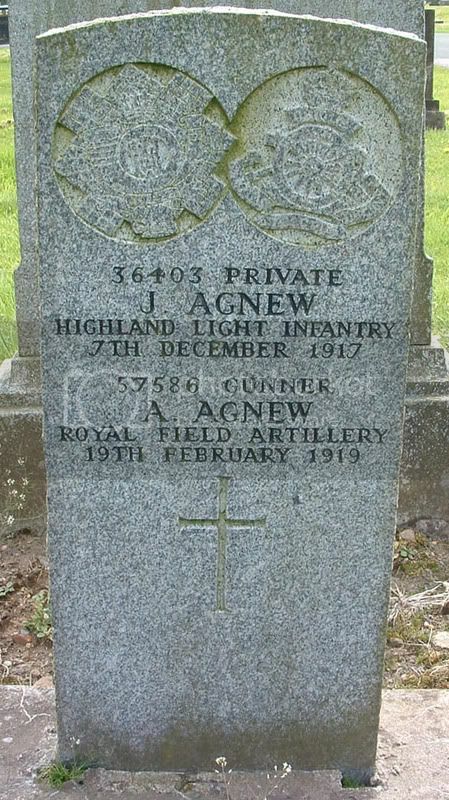 Additional information:	Son of Peter and Bridget Adams, of Glasgow. Grave/Memorial Reference:	Sec. 5. Grave 1905. 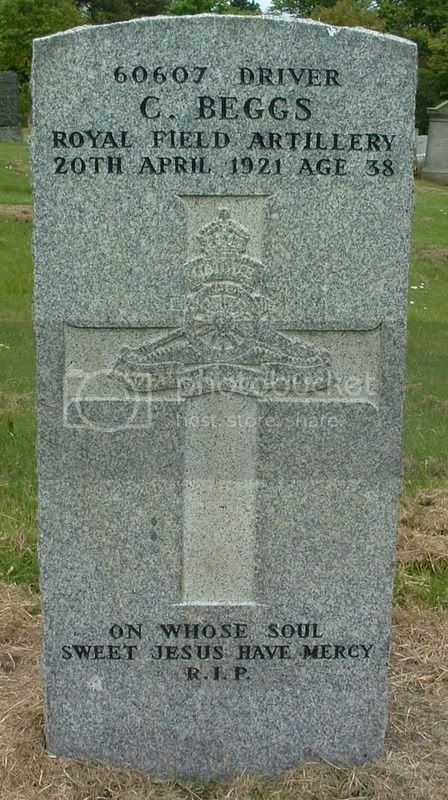 Gunner F. J. PARSLEY, 971337, Royal Artillery, Newfoundland Regt. Unit Text:	6th "B" Reserve Bde. Additional information:	Son of Capt. 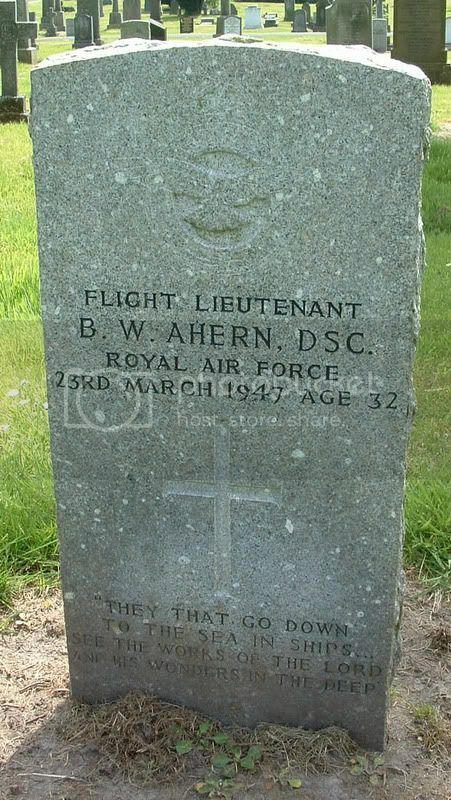 John M. Ahern and Mary Ahern; husband of Grace Ahern (nee McGowan), of Glasgow. Grave/Memorial Reference:	Sec. 9. Grave 832. 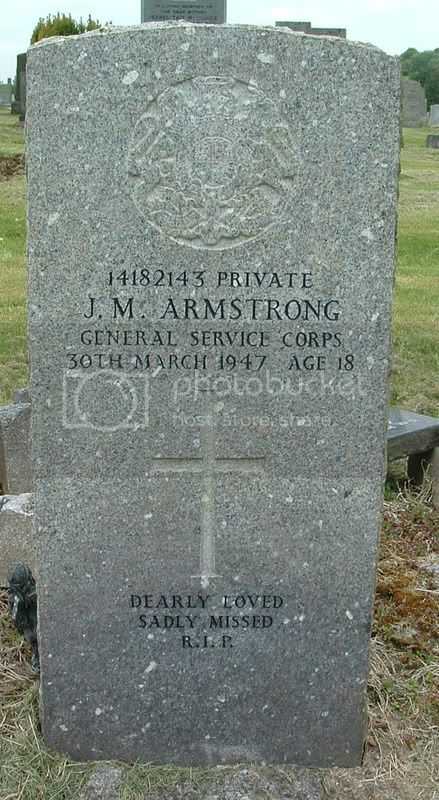 Additional information:	Son of John J. Armstrong and Margaret Girvan Armstrong, of Glasgow. Grave/Memorial Reference:	Sec. 13. Grave 699. 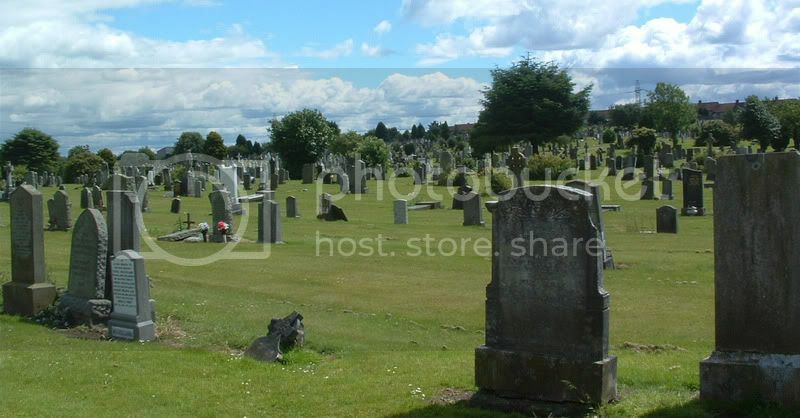 Additional information:	Son of Thomas and Mary Barker, of 222, Castle St., Townhead, Glasgow. 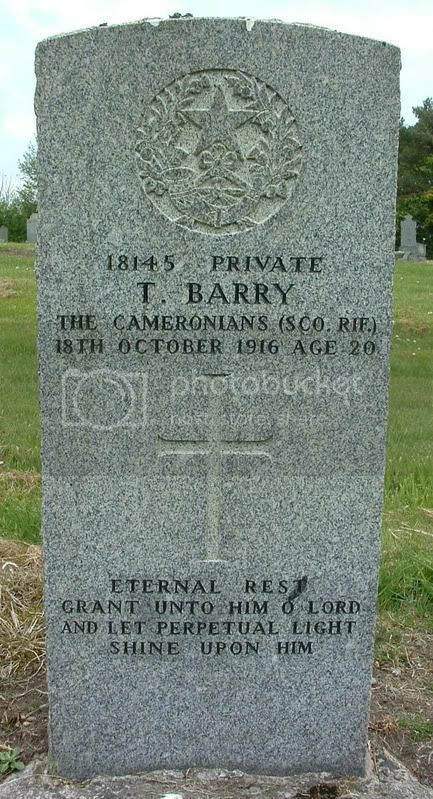 Additional information:	Son of James W. and Barbara Barrie; husband of Annie McMillan Barrie, of 7, Culloden St., Dennistoun, Glasgow. 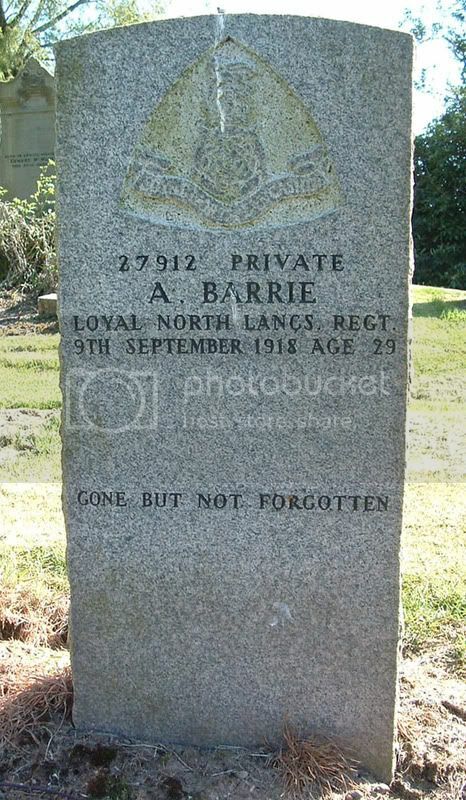 Additional information:	Son of Mrs. Jane Barry, of 61, Houston St., South Side, Glasgow. Additional information:	Son of Thomas and Jane Beggs; husband of Elizabeth Law Beggs, of 224, Stobcross St., Anderston, Glasgow. Grave/Memorial Reference:	VI. I. 17. 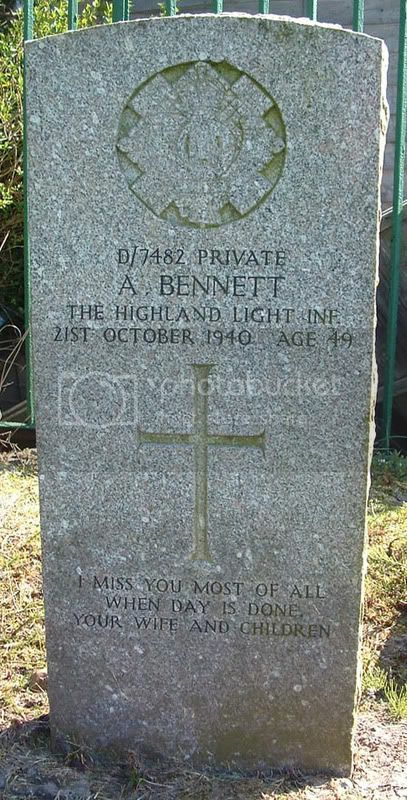 Additional information:	Son of William J. Bennett and Sarah Bennett; husband of Monica Mary Alice Bennett, of Glasgow. Grave/Memorial Reference:	Sec. 12. Grave 1607. 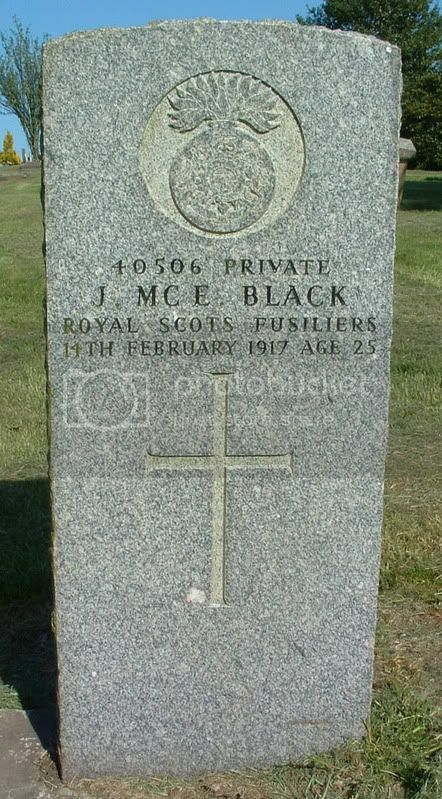 Additional information:	Husband of Margaret Black, of 424, Cumberland St., Glasgow. 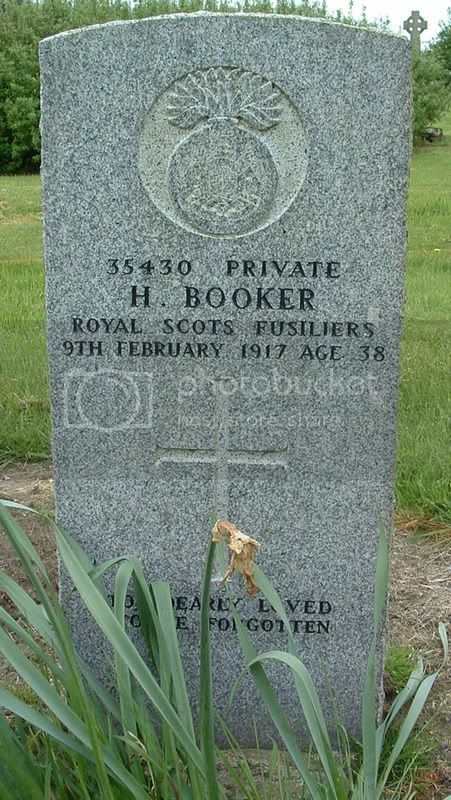 Additional information:	Son of Alice Booker, of 94, Henderson St., Maryhill Rd., Glasgow, and the late Henry Booker. Born at Dublin. 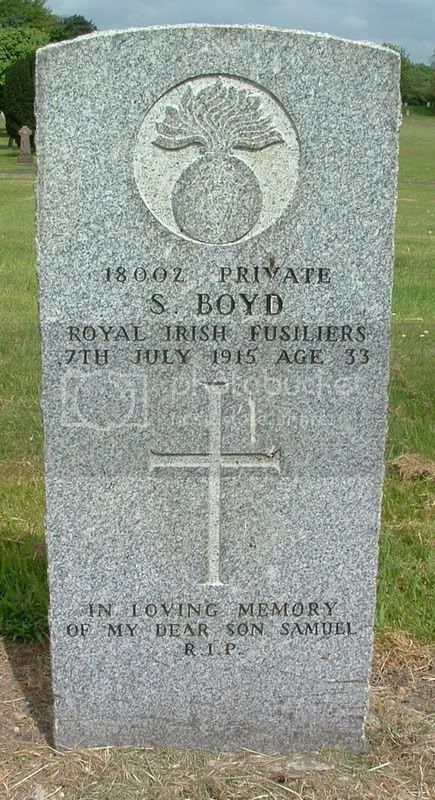 Additional information:	Son of Robert and Margaret Boyd, of 8, Walker St., Partick, Glasgow.